Business owners and employers have a legal responsibility towards their employees, customers and the general public. Be aware that anyone who opens a barber shop can be held legally liable and risk being sued if an employee or a member of the public is injured as a result of negligence or breach of duty. Damages can run into many thousands of pounds if a personal injury compensation claim is successful, as the barbers may also face a claim from the NHS for the costs of hospital treatment, including ambulance costs. That’s why business insurance is necessary. Most UK employers must have employers’ liability compulsory insurance (ELCI), which enables businesses to meet the costs of compensation and legal fees for employees who are injured or made ill at work through the fault of the employer. ELCI gives greater security to businesses which could face financial difficulty if faced with such a claim and guarantees employees that resources will be available for compensation even if a business goes into liquidation or receivership. By law, an employer must have ELCI and be insured for at least £5 million, although most insurers automatically provide cover of at least £10 million. If the barber shop is not a limited company, and the owner is the only employee or only close family members are employed by the business then ELCI is not compulsory. The Health & Safety Executive (HSE) is responsible for enforcing the law on ELCI and businesses can be fined up to £2,500 for each day that they are without appropriate business insurance. The policy must be issued by an authorised insurer, else it will not be valid. 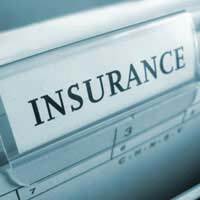 An insurance broker can provide guidance on which companies offer suitable business insurance policies. When the barbers takes out a business insurance policy, it will receive a certificate of ELCI and this must be displayed where employees can read it and kept for at least 40 years, otherwise the business can be fined up to £1,000. The certificates must be made available to health and safety inspectors on request too. A barbers will also need public liability insurance. This type of business insurance covers any awards of damages given to a member of the public because of an injury or damage to their property caused by the business. It also covers any related legal fees, costs and expenses as well as costs of hospital treatment. It is important to talk to an insurance adviser about any conditions, exclusions and warranties that can be applied the public liability policy. The cost of business liability insurance depends on the insurer’s estimate of the level of risk attached to a particular business or industry. For employers’ liability insurance, the risk level varies depending on the number of employees and the size of the payroll, whereas for public and product liability, the risk is based more on turnover. The premium will also reflect the insurer’s appetite for a particular type of business, the claims history of the business and other similar businesses, and the barber shop’s approach to risk management. The safer the working environment and the fewer claims made, the cheaper the premium should be. Factor these costs into the barber shop’s business plan. @Ry - As specified in the article, public liability insurance is essential, especially as members of the public will be visiting your home. This type of business insurance covers any awards of damages given to a member of the public because of an injury or damage to their property caused by the business. It also covers any related legal fees, costs and expenses as well as costs of hospital treatment. It is important to talk to an insurance adviser about any conditions, exclusions and warranties that can be applied the public liability policy. I hope this helps and good luck with your new business. I have started a barber shop from home, I am the only member of staff, what insurance do I need to have? @jaydee - the information is in the article should tell you what you need to know. In addition, our article Insuring against absent Barber Shop Staff should help, link here, along with Insure Your Shop Business and Assets, link here. I hope this helps. hello I am currently starting up my business as a barber shop I have found my premises.. Just wondering what insurances etc I may need? Thankyou! @Paul - you need to have public liability insurance, as do your self-employed barbers. I've included a leaflet by the HSE on the Employers’ Liability (Compulsory Insurance) Act 1969 here, which may help further. I have a Limited company Barber shop and I only use self employed Barbers, I have Liability insurance up to £5m, does this cover the barbers that are self employed? or do they need their own liability insurance? @NATE - you will have to go direct to an insurance company, this is purely an advisory website and we can't give direct quotes I'm afraid. I would like to get an estimate of a 6 chair barbershop that is planning to open in the spring of 2014.